This entry was posted in Discussion Posts and tagged Betty Sun Li, Cdrama, Ceng Qi, Chen Xiao, Li Ze Feng, Myolie Wu, Niki Chow, Nothing Gold Can Stay (那年花开月正圆), Peter Ho, Ren Zhong, Yu Hao Ming by Kappy. Bookmark the permalink. I didn’t watch the undeleted portion of the latest episode, so maybe I missed something. 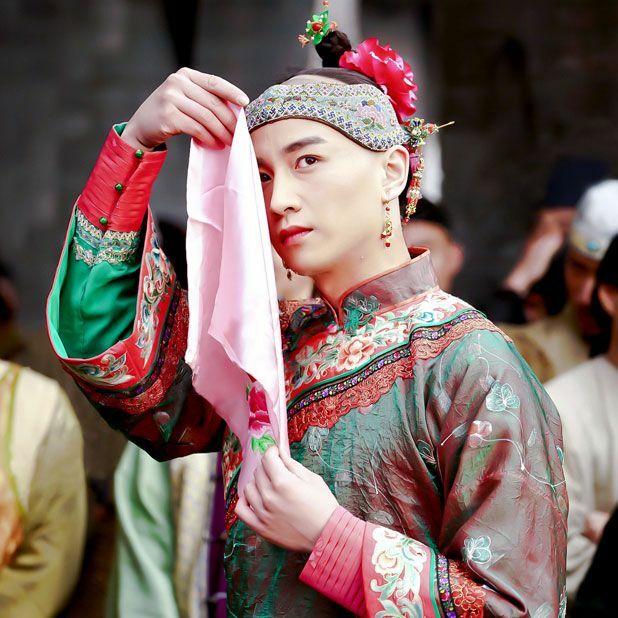 Right after Chen Xiao got rejected by Sun Li, I would perfectly understand why he would give up on her. But he never gave up. He kept persistently coming. 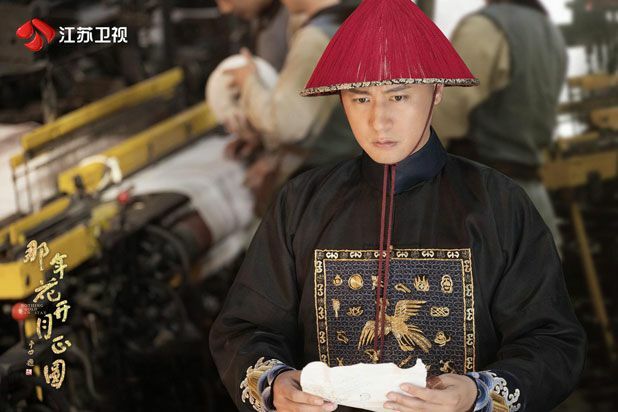 What I didn’t understand was why he was suddenly enlightened about causing Sun Li pain. I mean, SHE pained HIM. Not the other way around. I guess that was the only disconnect I see so far. But if you guys know the reason, please explain to me. Oh yeah, I agree she totally pained him a whole lot, I don’t really think he pain her at all considering how he had always brought so much joy and fun into her life after Wu Pin left. She is definitely very very heartless how she rejected him. But it is understandable. I guess I do hate flashbacks a lot, but it might actually be a bit way too minimal in this drama… because we never see that she was still missing Wu Pin too much so it became the reason she couldn’t move on with another man, she looks more like she is very goal oriented and just want to finish that goal for the Wu family so she doesn’t want to get a new family. 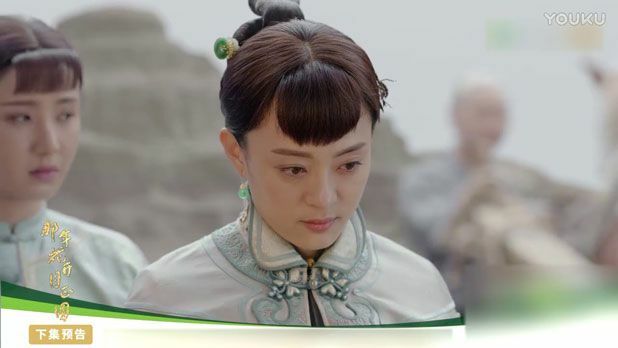 I got the feeling like I’m not pissed at her decision that she doesn’t owe them anything and they also kept wanting to cage her in with them, I do like Shen Xin Yi very very much, but it would be very hard since his family doesn’t welcome her anyway, and for her to elope (if they might have to end up doing it) with him that would sound too quick for them to be that committed to each other. They’ve been together for a long time but not as bf and gf, only as fun competing friends/enemies. I can’t even imagine them lovey dovey at all but they are cute together when arguing. Even I love Zhou Ying too, so it’s not surprising why every men fell for her. She might have flaws but for any ancient woman to be as thoughtful as Zhou Ying, she is even better than us modern women. I would quit the drama early on already if I find her so unlikeable and that many men are falling head over heels for her like that. For a role like Tu Erdan, it would usually annoy me to death why an unnecessary guy like him even need to exist, but that was not the case in here at all, I like Tu Erdan a lot. He brought in lots of fun, and he is very human (strong and powerful but can get knock out easily, and make friends with others). He is the character of a “romantic hero”. 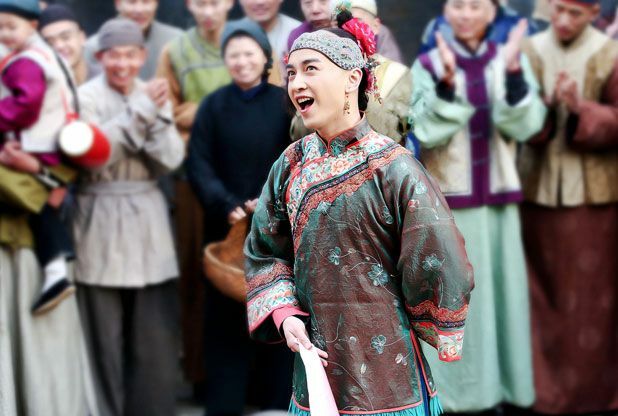 The cutest scene ever was when Chen Xiao got mad at him for proposing to Zhou Ying, Chen Xiao was just like a cute little kid. 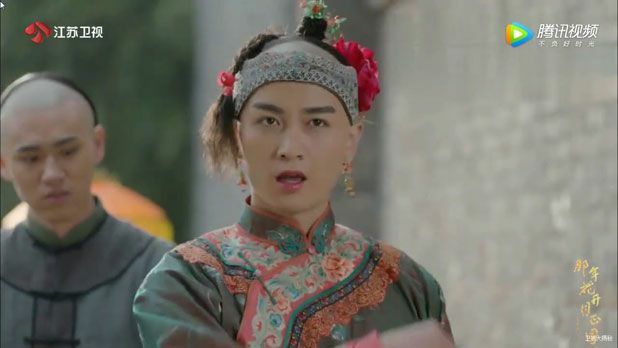 It’s nice to see how Tu Erdan opens up the opportunity for Chen Xiao to fight and compete with another guy while Zhao ren zhong and Wang shijun are hiding their feelings while Wu Pin is already dead. I’m most surprised at Zhao ren zhong’s one sided love, I just never imagine he’d be taking that route of falling hard for a woman, there was no sign of that from the very beginning. Love it when he gets all nervous around Zhou Ying. Right! Somehow none of the fellows thought ZY was moronic for never giving them a chance. It’s clearly not a case of her being emotionless, but maybe a case of her own principles + love for WP. This dogmatic morality doesn’t seem to suit the ever-adaptable ZY much at all. So I see it as a disconnect and it makes little sense why the other male leads support her case. I can definitely see SXY with ZY as a couple. 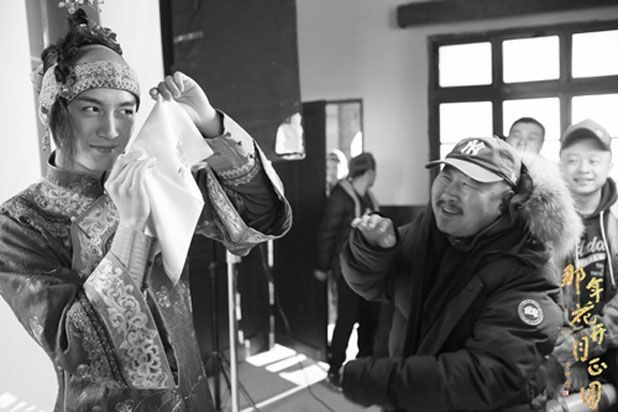 But, to be fair, Chen Xiao has chemistry with just about any female lead he’s ever starred with. 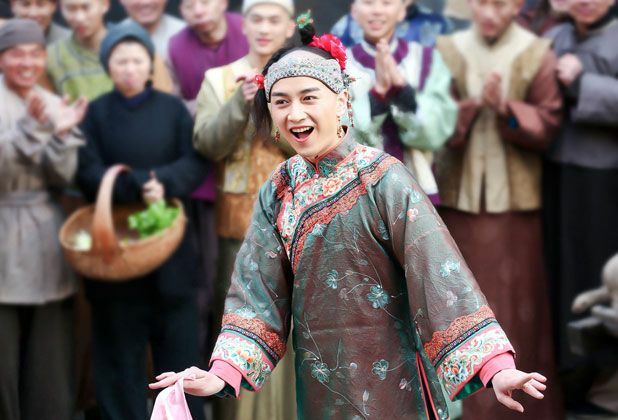 I haven’t seen all the dramas Sun Li was ever part of, but she seems to have no trouble in that dept either. I loved the scene with SXY and Tu Er Dan. It was because SXY had the biggest childish temper tantrum which was absolutely adorable. Plus the irony of the fact that everyone told Tu Er Dan they’ll help him out with any request, only to renege on that promise XD. I actually knew Zhao Ren Zhong had feelings for Zhou Ying in that episode when he spanked her lol. I could feel his admiration for her since she’s unconventional but righteous (to an extent.) Very few people has her persistence and good heart, so it was clear to see why he fell for her (also, her lack of propriety and constant badgering of him makes them very relatable to each other.) It’s very cute how he acts around her after. But sad that they never got their happily ever after. Within the context of the story, I think it would have to do with the usual ‘karma’ kind of progression, just that it is much less obvious and in-your-face than your usual cdrama. We’re pretty far along in the series, so at this point we might have forgotten that Shen Xingyi had beat Wu Pin so badly back in the beginning that Wu Pin nearly died (ironically leading to Zhou Ying marrying Wu Pin). 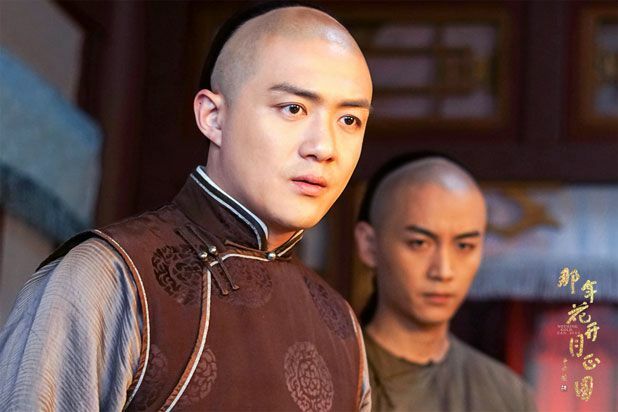 On top of that Shen Sihai mistakenly believed the Wu family wronged him and killed his elder son, so he participated in the whole affair of destroying Wu Weiwen and the Wu family. 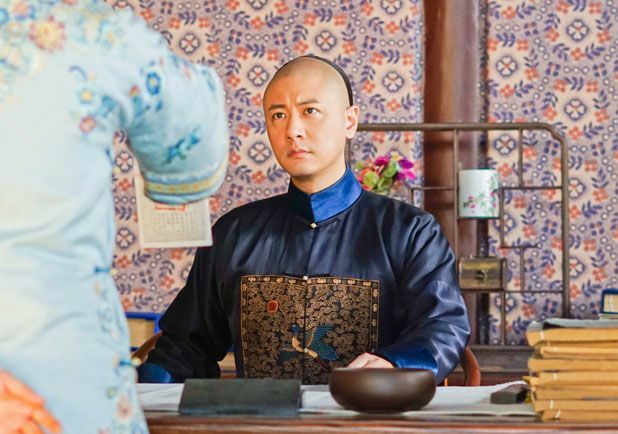 All of the trials Shen Xingyi undergoes in his attempts to get Zhou Ying to eventually accept and love him are a ‘payback’ for what he did to Wu Pin. 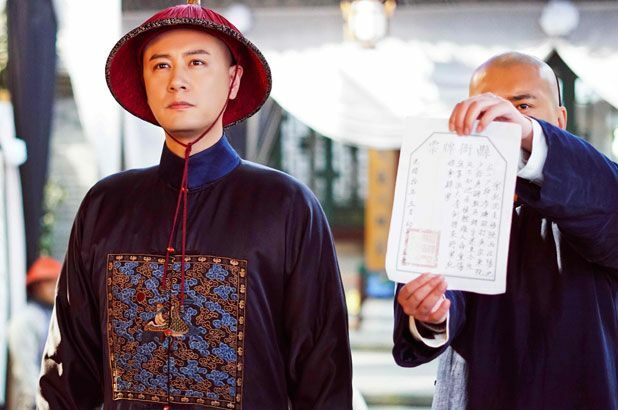 Indirectly, Shen Sihai receives his karmic payback in the form of his necessary subservience to Dou Mingli, and that his second son (his successor) is forever committed to Zhou Ying (who is Wu Weiwen and Wu Pin’s “successor”). And I want to add that Miss Hu will get her comeuppance. Among family and friends, we have an inkling of what she did(something terrible). I won’t spoil it, but does anyone have the same theory? Yes! I think ep 49-50 is getting to that. They hinted at her involvement with the sweets Zhou Ying likes that Wu Ping buys for her daily. I wonder how Hu is going to react. Spoilers if anyone haven’t watched up to 51, not that I like Zhou Ying’s foster father too much but everything started to slowed down quite a little bit after he died, I skipped quite a lot of things although there were still 4-5 very very good scenes in between. I don’t agree they need to take him away, he is way too much of a fun person. Besides, ZY already lost way too many people in her life, and her foster father is one of the very top special people in her life. He sold her to Xin y’s family but all she wanted to do was to go find him and reunite with him, she loves following him until she married Wu pin. I don’t know how quickly she recovered from losing her foster father, but in reality I think any normal person would’ve gotten severe depression and go crazy, ZY however just remained the same and still just want to do business like usual. But good thing it seems like the next episodes coming out will be firing back up to be extremely intense, I’m sure Xin yi is not even going to die but that scene just looks so beautifully sad.